Measurements: 10mmx8mm. Dome is 4.7mm high. 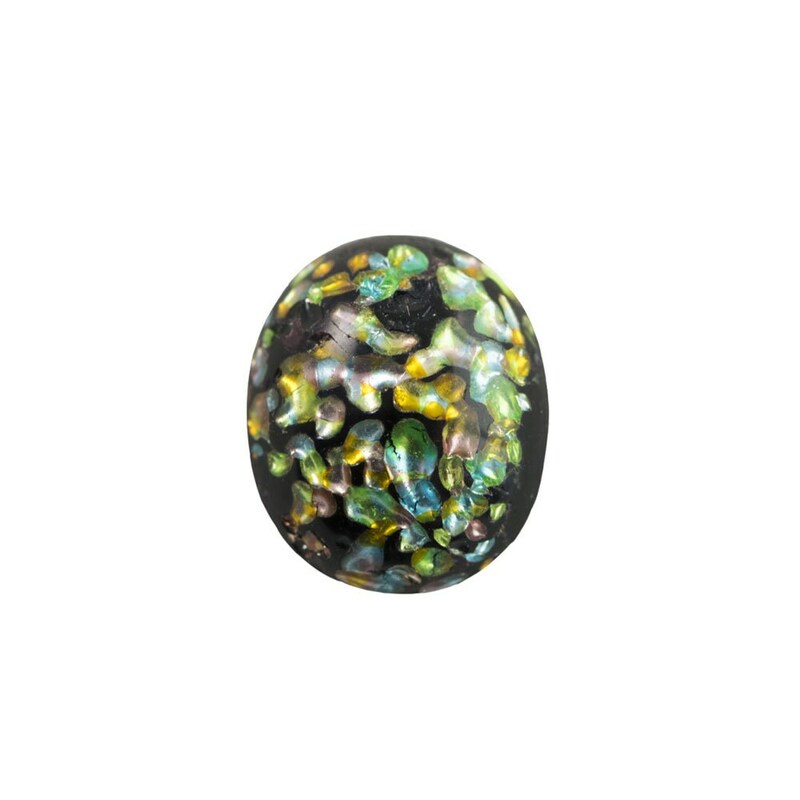 Characteristics: These are vintage cabochons with a flat back and a domed front. The back has gently beveled edges. Color: Opaque Black with Rainbow foil inclusions. Additional Information: Each of these cabs is unique, no two are alike.